How would I find a dog with all the requirements? My 12 year old homeschooled son wanted a dog. Ugghhh. I never thought of myself as a dog person. My husband and I were holding off adopting a dog for when our children would be old enough to participate in the care of a dog. I wanted to be sure it was the right dog too.... not too large for our small family home and yard, not a puppy but trained well, good natured, good with kids and cats and very cute. I didn't think I would find a dog with all these characteristics but was determined to wait for one, if there ever would be one. I looked over petfinder.com for dogs that were adoptable in our area every few weeks or so. This July I saw "Silver" available at the local shelter. Small, six years old, and cute. My son and I went down the next morning to see if "well trained, good natured and good with kids and cats" could possibly come from this rough and tough rescue world.... To my surprise he had all the characteristics! Yikes! He was a Salt and Pepper mini Schnauzer. We walked him around the shelter yard and spent about two hours observing him. He was stressed out but responded to our requests. He couldn't survive on his own, it was clear, he needed a human owner for protection and survival. I could have turned away from a dog that I wasn't prepared to manage at home and enjoy for the long run but this dog had it all. The Vet Tech gave him all 5's on his report card too. His body had been flea ridden, he was grimy and greasy, he needed help. We took him home where he quickly mapped out the place and nervously found a place to rest from his weary ordeal. Over the next few weeks, he has been relaxing into our family's love and tender care. He has gone from dirty to darling, traumatized to tender, independent to in love. He quickly bonded to the mother; endeared himself with the the father, the alpha; and, recognized the boys as litter mates. He sleeps with the 12 year old... it couldn't be more heavenly. We give thanks for our "Pep" each and every day! Can't understand how someone could have let him go!!! Thank you shelter people for the work you do for furry ones who have no words! This little homeschooled Schnauzer is showered with love and affection throughout the day. He loves to rub his chin in the dried grass in the back yard; loves his evening walk where each smell is better than the last; and loves to ride in the car where his ears flutter in the breezes and he draws a smile to each face who isn't too busy to notice him. We love his growl's and grumbles, alerting barks too... he talks to us in the most interesting ways, we are always laughing with him. We did not know about these interesting and intelligent little creatures, Mini Schnauzers! Our Pep is the very best dog ever!!!! Comments for How would I find a dog with all the requirements? 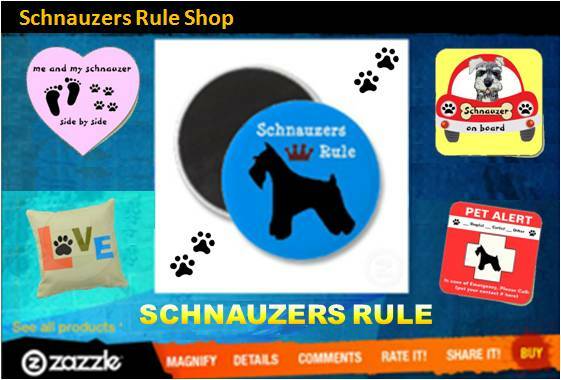 Thanks for all the great information on Schnauzers that you provide. They are such rambunctious lil guys! I just saw an adorable Schnauzer mix puppy searching for a home.. could you spread the word? So glad you found your ideal dog! And at the shelter! As any schnauzer lover will say "we could have told you!". Plus they don't bother people with dog allergies! It is amazing how many of these great dogs end up in shelters, then picked up by rescue groups. All three of the mini schnauzers I've owned came from rescue or shelter. The group I adopted my current mini Fritz from has placed 800 mini's over the 6 years they've been organized. So sad. They are very funny with their "roo-roo" kind of bark! And they always want to be with their humans! If it moves, they are on it! Bugs, leaves, lizards, birds and of course squirrels! I was lucky enough to have my last guy Jake for 15 of his 17 years. They are such great dogs it was tough to lose him. But it allowed me to adopt 2 1/2 yr Fritz, now 4, whose a great companion!